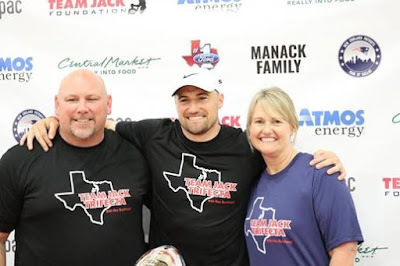 Just two months removed from a win in Super Bowl LIII with the New England Patriots, Plano Senior alum Rex Burkhead, middle, returned to his hometown to host the third annual Team Jack Trifecta. Not even a bout with Mother Nature could slow Plano Senior alum Rex Burkhead and the Team Jack Foundation from its most successful Team Jack Trifecta yet. From the start of the three-sport fundraiser’s morning 5K fun run outside Plano’s Clark Stadium to the last bid submitted for the event’s national online auction Sunday evening, and all the festivities in between, Team Jack raised approximately $105,000 toward pediatric brain cancer research – a $40,000 increase from last year and a number plenty gratifying for the New England Patriots running back fresh off the fundraiser’s third installment. Getting there required some improvisation after inclement weather drenched the start of the youth football camp, held mid-morning at Clark on April 6. Moments after Burkhead led a crowd of kids through the stadium tunnel and onto the field for warm-up stretches, heavy rainfall forced a momentary delay as campers were shuttled into the locker rooms and equipment was loaded into trucks to be transported across the street to PSA2. During the downtime, kids were kept entertained by the camp’s cast of college and professional football veterans – including several with local ties, like Plano alum and current Los Angeles Ram Joseph Noteboom, Allen alum and current Jacksonville Jaguar Cedric Obguehi and Plano West alums Jackson Jeffcoat and Ameen Behbahani – before the camp resumed on the PSA2 basketball courts. 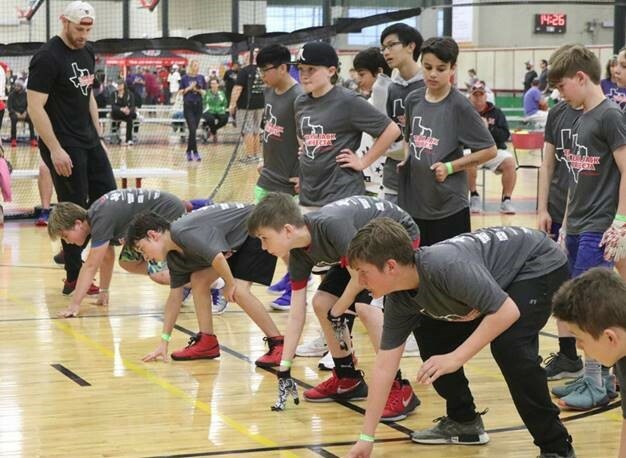 Nearly 200 kids participated in the youth football camp during the Team Jack Trifecta. 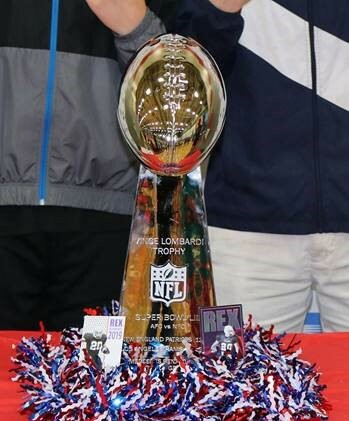 While nearly 200 campers rotated through a variety of instructional stations, drilling all manner of football fundamentals, spectators scoured the facility to bid on items up for auction, as well as sample vendor stations and even take pictures with the Vince Lombardi Trophy. The NFL’s illustrious championship relic was on display at the Trifecta just over two months after Burkhead and the Patriots defeated the Rams, 13-3, in Super Bowl LIII – crowning the Plano alum an NFL champion for the first time in his six-year pro career. “It’s something you dream about as a little kid and to get there and accomplish that with such a great team and a bunch of great guys, it really is a thrill,” Burkhead said. 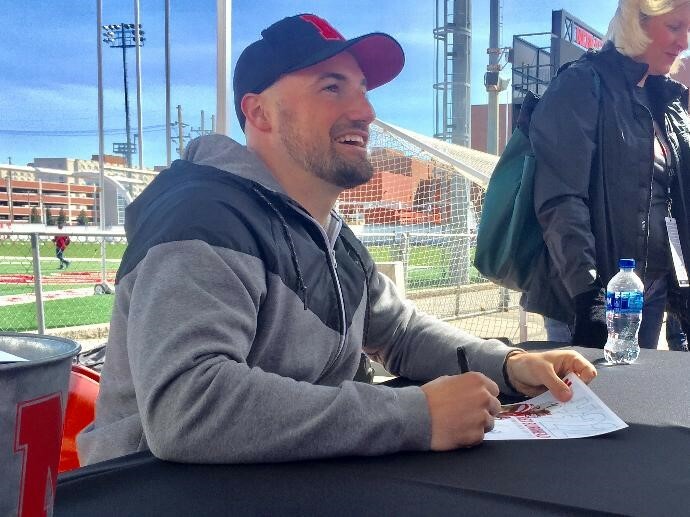 Although Burkhead wound up contributing plenty to New England’s sixth title, getting there required overcoming an early-season neck injury that sidelined the former Wildcat for just over two months – the longest stretch of missed time during the running back’s career. Returning to a crowded backfield alongside standout rookie Sony Michel and versatile rusher James White, Burkhead was worked back into the fold as part of a running game that took on a greater workload throughout the postseason. The Patriots averaged 161.7 rushing yards per game during the playoffs – an average that was the NFL’s highest since 2012 and New England’s highest since 1976. Burkhead was part of that three-headed monster, including scoring the final two touchdowns of the Patriots’ 37-31 road win over the Kansas City Chiefs in the AFC Championship Game on Jan. 20. Burkhead picked up where he left off in his second consecutive Super Bowl appearance, leading all players in yards per carry (6.1) and helping cement the Patriots’ victory late in the fourth quarter with one of the game’s signature plays – a 26-yard run that helped set up a Stephen Gostkowski field goal for a 10-point lead with 3:05 to play. The Vince Lombardi Trophy made an appearance at the Team Jack Trifecta. Burkhead wasn’t the only Planoite on the field that early-February night in Atlanta, as Noteboom suited up for the Rams in the final game of his rookie season. The two were in tandem supporting a charitable cause two months later at the Team Jack Trifecta, with Burkhead adding to the lore of his alma mater as Plano Senior’s first-ever Super Bowl champion. “There’s so much tradition here at Plano and it’s such a great program, so to be able to bring this back to my hometown with this event is really cool,” Burkhead said. IOWA CITY, Ia. — An 8-year-old pair of red and grey Nikes is as emblematic of the Iowa football program as any of the trophies you’ll find at the Hansen Performance Center. 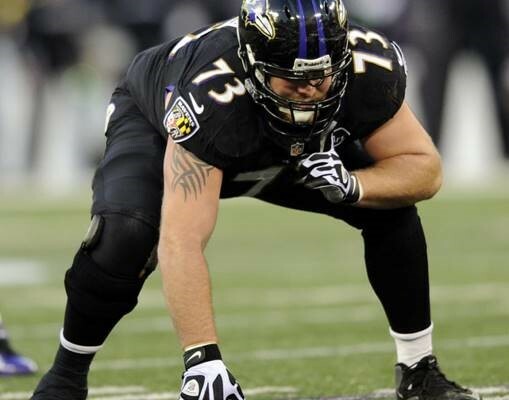 The well-worn shoes belong to Marshal Yanda, a 34-year-old star guard for the Baltimore Ravens. The former Hawkeye has made it to seven Pro Bowls. The shoes were a gift from his first, in 2011. They sit in his locker here year-round. He wears them every time he works out alongside the current crop of Iowa players, which is all the time in the offseason. 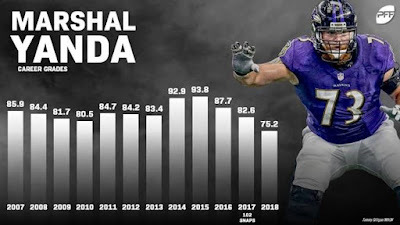 Yanda signed a contract extension Thursday to play through the 2020 season. He is a millionaire who could certainly afford some new kicks. So why does he wear the same old shoes? 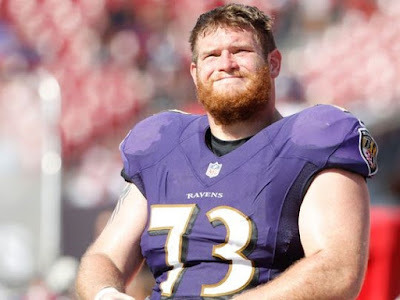 Longtime strength and conditioning coach Chris Doyle has asked Yanda the same question. He relayed the answer to reporters Friday. 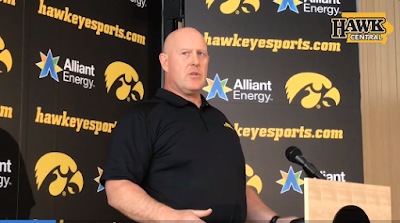 Doyle said Yanda is the kind of role model the Hawkeyes need. He doesn’t come into the training center with his own workout regimen in mind. He does exactly the same things that the players 12-15 years younger than him are doing. And he’s not alone. Doyle said as many as 15 former Hawkeyes currently playing in the NFL were in the building at one time this winter. Iowa built a locker room just for its alumni, something Doyle believes is unique. Those include tight end George Kittle, cornerbacks Josh Jackson and Desmond King, linebacker Ben Niemann and, of course, Yanda. 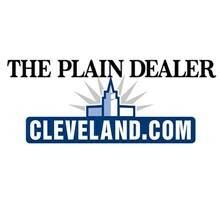 “They believe that the training that we’re doing will help them retain their jobs,” Doyle said. The catering doesn’t include new shoes apparently. 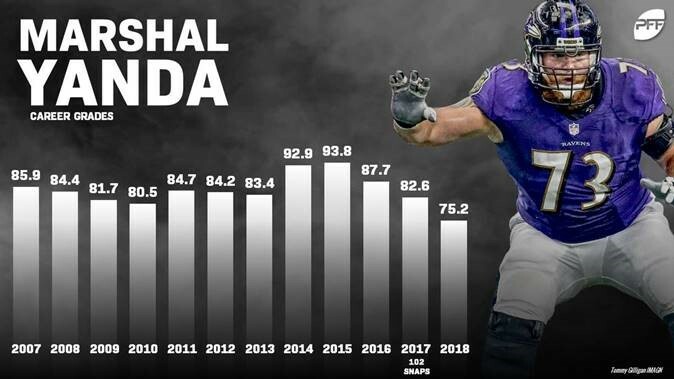 But for Yanda, that’s the point. 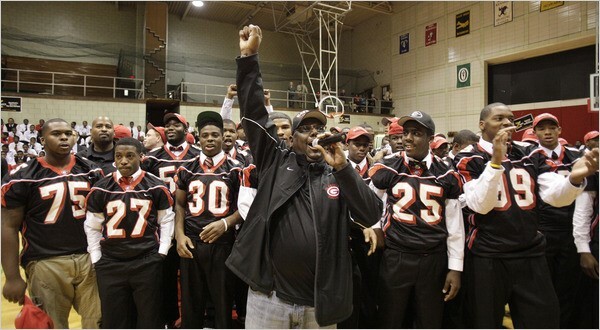 Ginn honored: Glenville High School football coach Ted Ginn Sr. was honored Thursday with the ''Ohio's Finest'' award at Ohio State's football coaching clinic. Under Ginn the Tarblooders have found success at the high school level and for almost a decade, the East Side school funneled numerous talented players to Ohio State, many while Jim Tressel was the head coach. From 2002 to '14, Ginn sent 22 players to Columbus including his son Ted Ginn Jr., who is coming off his 12th season in the NFL. In total, 19 former Tarblooders — five of which are still active — have played at least one NFL snap. Many of those players were stars under Tressel, who had a 106-22 record, seven Big Ten championships and one National Championship in three title game appearances. The NCAA later voided the 12-1 season of 2010. In addition to Ginn's son, notable former Tarblooders who played for Ohio State include Heisman Trophy winner Troy Smith, quarterback Cardale Jones, defensive backs Marshon Lattimore, Donte Whitner and Christian Bryant, and offensive linemen Bryant Browning and Marcus Hall.